Tools for the Toolbox: Proteins! Your choice of chicken, beef, or tofu! No, the physiological meaning of “proteins”, not the pop-culture meaning. Oh. Are they at least nifty? Of course! Would I talk about them if they weren’t? Maybe. If you wanted to talk about something else that was nifty. So, what’s nifty about them? Besides the fact that they’re like little legos and snap-beads and erector sets and other types of kids’ building toys that thoroughly delighted me when I was little? Well, okay. I’ll start there. Proteins are cool because they’re basically the things that cells use to DO things and MAKE things. Need a tunnel through your cell membrane for charged particles to swim through? Use a protein! 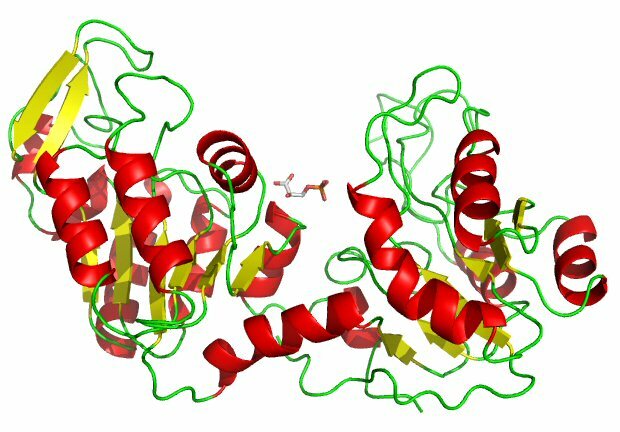 Need an enzyme to catalyze a step in your biochemical process? Use a protein! Need something to carry oxygen from one part of your body to another? Use a protein! Need a scaffolding in your cell body to hold its structure and provide a transport railway system from the nucleus to the cell membrane? Use a protein! Need a doomsday device to strike fear and terror into the hearts of the good, hardworking peasants on the greater continent of Anteuri 2? Um……okay, maybe you can’t use a protein for that. You know, you get carried away WAY too easily. But it’s so fun to carry you with me! Wow, there are SO many things I could say after that comment. We’re totally getting off track. And it’s totally your fault. Which…if you could forgive the meta-comment…would be the case even if it was YOUR fault…. Would you just get back to the proteins? We’re going to start with the basic building block of a protein, the amino acid. Oh, look! A table that shows the twenty standard amino acids that our bodies tend to use to make proteins! Wow, I wonder how THAT got there? 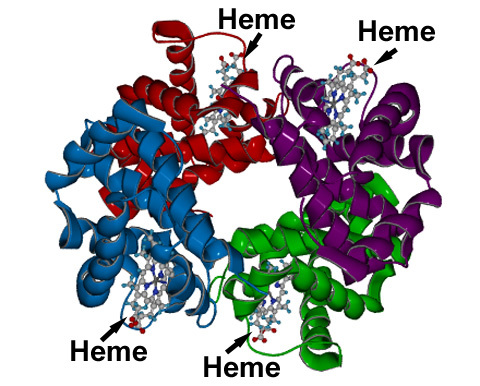 If you look closely at the convenient table (click to embiggen), you can see that even though they all look different at the top, each amino acid basically has the same structure at the bottom. Namely, they have an amino group ( H2N- ) and an acid group ( -COOH ). Oh! So THAT’S why they’re called amino acids! By the way…what’s the deal with the whole “essential amino acids” thing? I hear that phrase all the time. There are some amino acids that our bodies can synthesize by themselves. But there are other amino acids that we just can’t…particularly: leucine, isoleucine, lysine, valine, methionine, threonine, phenylalanine, and tryptophan. So, it’s ESSENTIAL that we get these amino acids from our diet, because we can’t make them ourselves. Get it? Get it? ESSENTIAL amino acids. Okay, got it! So, they’re building blocks. Yeah! 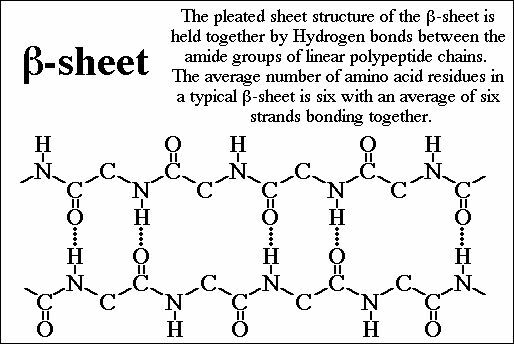 So, amino acids are like those attachable plastic beads I used to play with as a kid. Each type of bead was a different shape and color, but they all had identical snap-together connections that you could use to connect any bead with any other bead, and make any kind of pattern you wanted to! She's making a DNA polymerase. 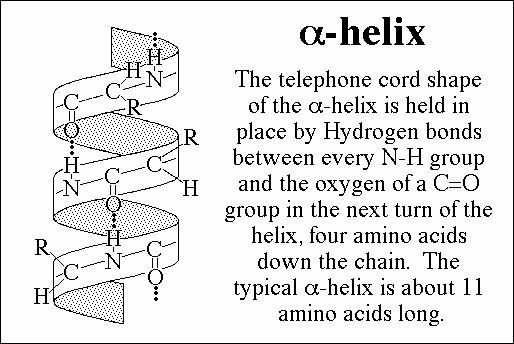 Likewise, you can string the amino acids together to make any pattern of amino acids that you want to make your protein! This is called a primary structure. And now the true fun begins! I’m using the bead analogy because it’s convenient. But if you look up at the table again, you’ll see that even though they attach together and string along like beads, they’re really more similar to puzzle pieces! What I mean to say is that each “bead” on the sequence has a puzzle piece (a “side chain”) attached to it. And the puzzle pieces fit together in different ways, because they all have different properties. For example, the positively-charged side chains will repel each other, but attract the negatively-charged side chains. 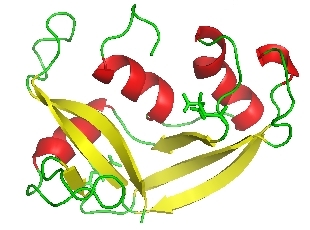 Histidine, Lysine, and Arginine are sisters, all from the well-to-do Positively-Charged family of the Amino Acid estate. And they all hate each other. As a matter of fact, they’re so alike that they repel each other. But what happens when the Acid Brothers, Glutamic and Aspartic come to town? 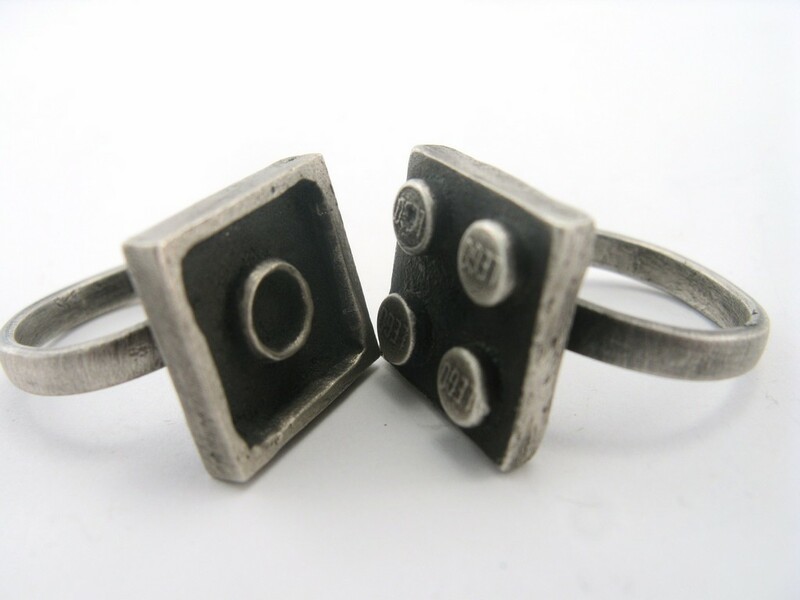 They’re both negatively-charged bad-boys…and they’re oh-so-attractive! You’re supposed to be saying something that makes that….ahem…..”writing”…..up there relevant to the subject matter. So, some amino acid side-chains are positively-charged, and some are negatively-charged, and some are neutral, and some are repelled by water. So when you let go of the ends of the string of amino acids you made…. Exactly! If by “hilarity” you mean “folding into higher-order structures”. That’s exactly what I meant by “hilarity”! These are called secondary structures. After the secondary structures are formed, the rest of the hilarity repels and attracts and pushes and pulls itself into a beautiful, complex wire-sculpture-like tertiary structure. 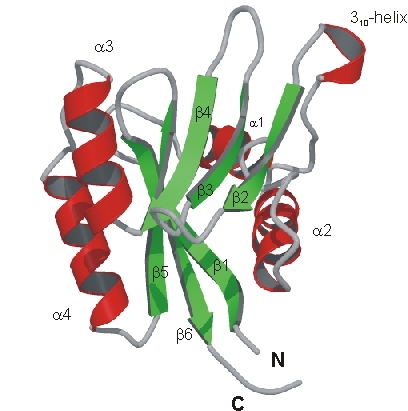 And then, sometimes multiple proteins in their tertiary structures join together in a quaternary structure, as you can see with the four subunits of hemoglobin. Each individual protein is a different color in this picture; you can see how they come together in their quaternary structure! And even cooler are all the things you can do with…..
Awoooga! Awooooooooga! LONG POST ALERT!!! People in the Internet Age have short attention spans! And you’re on vacation! Oooh, thanks for keeping an eye on that for me. Well, folks, I’m going to skedaddle! and we talk about what we can do with the awesome little proteins that we made! If you use this as if it were real medical information, I’ll denature your proteins. And you won’t even notice until the next post, when I talk about what “denaturing” means! So what the hell exactly is it that my ps3 is doing when im not using it? Are proteins and or amino’s live, living molecules? If so, can they be killed, destroyed? How would one kill a protein? What would it take? Not exactly. To be classified as “living”, they would have to eat, reproduce, and excrete. That’s why viruses aren’t technically considered “alive”. But you can destroy proteins by “denaturing” them, or breaking down their structure. Many things can do this, like the wrong temperature, or an enzyme, or a substance that interferes with its molecular bonds. What temperatures do you speak of when u say wrong temps can destroy proteins. Could you answer in Farenheit degrees – thanx. “living” can mean more than just eating (as humans know it) reproducing and pooping/peeing. Plants are “living”? Plants “eat” sunlight, water, carbon dioxide and nutrients from the soil. Plants “poop” oxygen, starch/sugars and whatnot. …this makes my science teacher’s ramblings make sence! you have done the impossible! “Click to embiggen.” Hilarious! Excellent post, also.